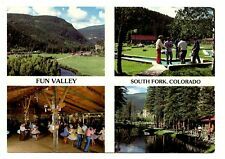 South Fork Colorado CO Fun Valley Family Resort Postcard Chrome Triangle Dist. Carver County by Ruth Tremblay (English) Hardcover Book Free Shipping! *SIGNED/AUTOGRAPHED* Ruthless Tide by Al Roker HARDCOVER - BRAND NEW! Bridgehampton by Geoffrey K. Fleming (English) Hardcover Book Free Shipping! This page was last updated: 20-Apr 05:51. Number of bids and bid amounts may be slightly out of date. See each listing for international shipping options and costs.